This is a Newbery honor book. If you've never read a Genevieve Foster book, then you're in for a treat. Foster has this unique approach of teaching history horizontally - not just focusing on one character in one location, but looking at all the events and characters of a particular time period all over the world, and examining how they are all interconnected. So, when studying Abraham Lincoln, Foster weaves a story of the world around her central character; including stories of scientific discovery and invention, music, literature, art, and religion. She has a knack for telling stories that will interest her young audience. This is a Newbery honor book. If you've never read a Genevieve Foster book, then you're in for a treat. Foster has this unique approach of teaching history horizontally - not just focusing on one character in one location, but looking at all the events and characters of a particular time period all over the world, and examining how they are all interconnected. 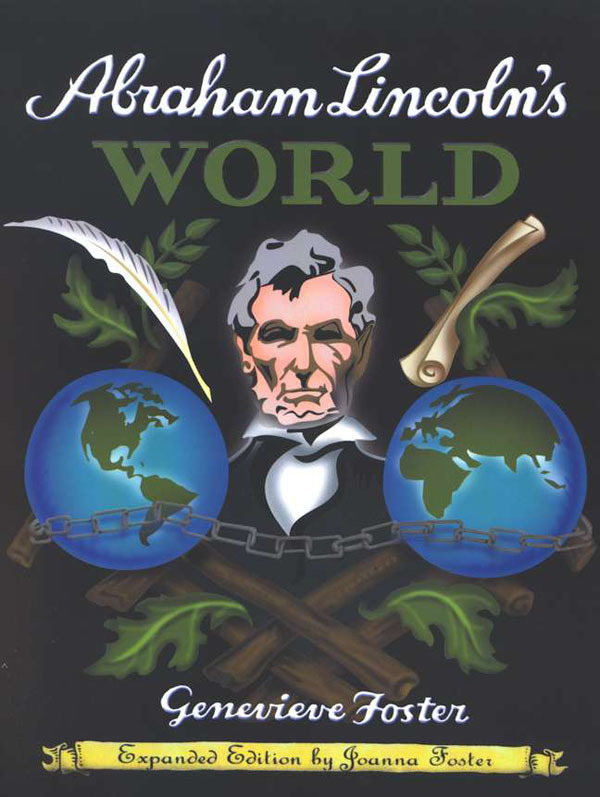 So, when studying Abraham Lincoln, Foster weaves a story of the world around her central character; including stories of scientific discovery and invention, music, literature, art, and religion. She has a knack for telling stories that will interest her young audience. So when Abe Lincoln was a young boy, Thomas Jefferson was president and Napolean was about to meet his Waterloo. You'll meet Beethoven, Harriet Beecher, Charles Darwin, Dickens, and Livingstone. Thousands of Americans were opening up the West on the Oregon Trail. The abolitionist movement gained power in the States. In the world of technology, this time period saw the invention of the telegraph, the railroad and the steamboat. Beautifully illustrated with line drawings and detailed timelines, this book is a wonderful resource. This book is an excellent resource for any study of early American history, Kentucky state history, or Illinois state history. This book was written on a reading level of grade 7 and up but has an appeal to a wide age range. I love this book! Genevieve Foster's history books are the absolute best we've found. Our family loves the living book feel, with history that reads like a story, not dry, boring facts. The simple, yet engaging line drawing pictures throughout the book and the format are what set these books apart. Rather than isolating a person (in this case, Lincoln), and only telling about them, Foster's books tell you what was going on in the rest of the world at the same time. This gives context to history's events and helps you to understand the entire time period. And it is absolutely intriguing to see what other famous people lived at the same time. Foster's books show the fullness of God's story as it played out in the many people He worked through in each period of time.